In the interests of reaching out to the rest of the campus community to share information relevant to our project, we completed the design for our flier to be distributed and posted in residence halls. At previous outreach events like the Earth Day Fair, one of the most frequently asked questions we have received related to building sustainability is, “What can I do?”. 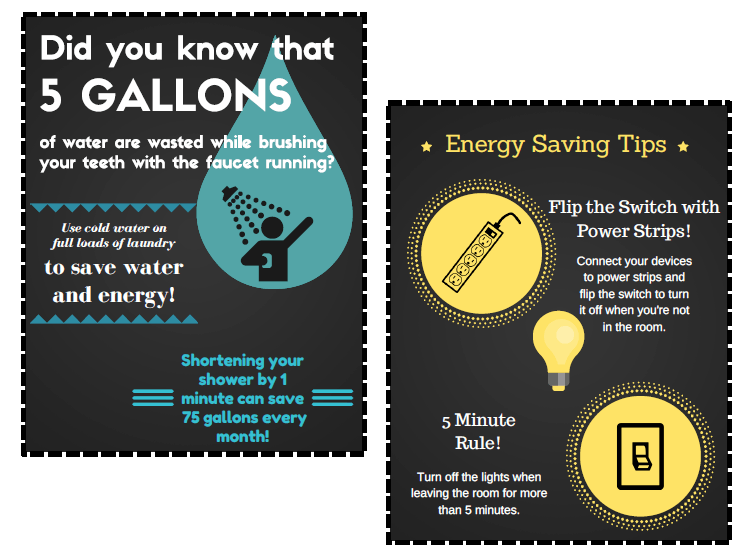 Based on this inquiry, we decided to share common energy- and water-saving tips. In addition, the dormitory setting presents the somewhat unique opportunity to post these tips in a place where students can apply them on the spot. This week also included our team’s site visit, during which we had the opportunity to provide our Sustainability Action Research classmates with an inside look at our project location and work. 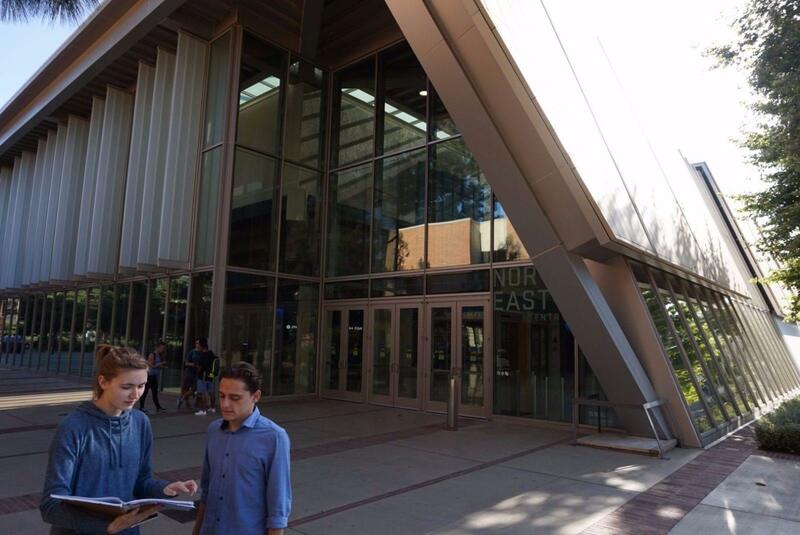 One of the project components we discussed during our presentation was the attainment model for achieving Pauley’s LEED v4 EBOM* certification, which is currently in development. In building the attainment model, we reexamined the possible credits in order to estimate the financial or temporal investment necessary to achieve them. We also took note of the assumptions we made in coming up with these estimates, so that hopefully our model can be used by others in the future. Looking forward, we have developed a list of questions to work through in refining and completing our attainment model.